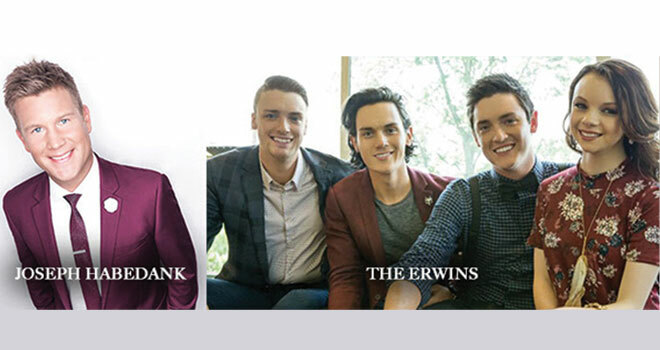 The Erwins, along with Joseph Habedank, are excited to announce a combined effort they’ve entitled “The Resurrection of Faith” Tour. Each brings about a 30-minute set, and the second half of the concert is a mixture of both outstanding artists. Featured are songs like “I Wish I Could Have Been There”, “I Can Through Christ”, “If You Knew Him”, and many more. The Erwins started singing as soon as they were each able to talk. 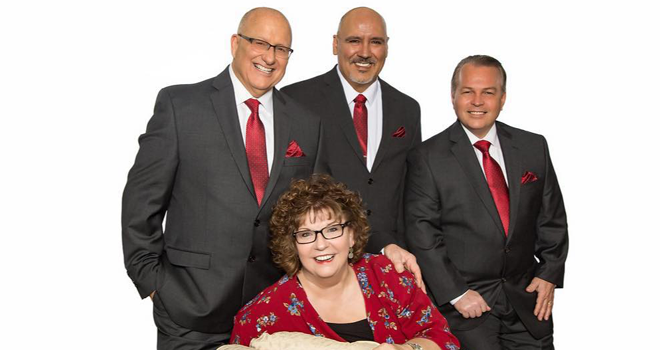 Appearing in more than 270 concerts a year with their mother and father, who have been in full-time evangelism for 44 years, they have been traveling full-time their entire life singing in concerts, revivals, and conferences all across the country. Three of the four siblings, Keith, Kody and Kris, performed as a trio until 2013. Then, little sister Katie joined the group full-time on stage officially making them a Mixed Group. Joseph Habedank is a multi award-winning and Dove Award nominated singer/songwriter. 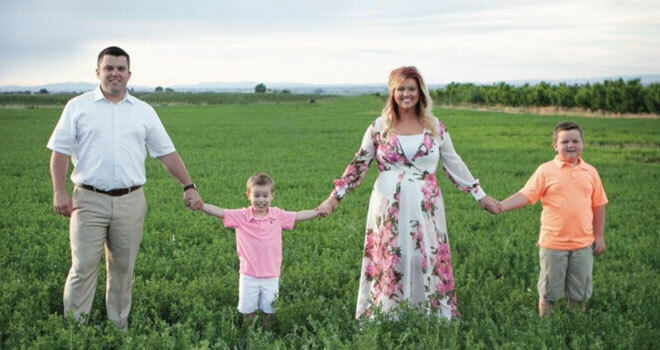 Joseph has a unique and equally powerful testimony that has been featured on FoxNews.com’s Spirited Debate, TBN’s Praise the Lord, and in such publications as Billboard Magazine, CCM Magazine, and Glenn Beck’s The Blaze. 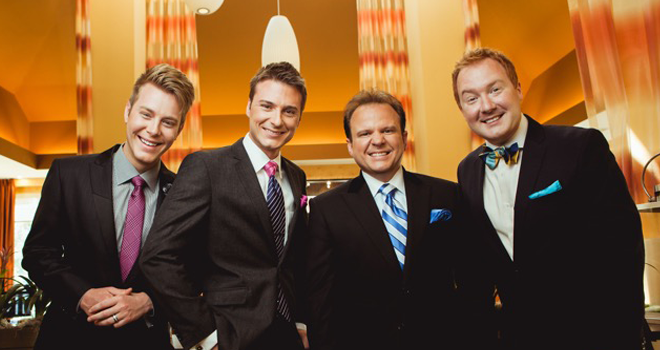 For ten years, he served first as baritone, then as the lead singer for one of Southern Gospel’s favorite family groups, the Perrys, and shared his songs in some of America’s greatest churches, including the Brooklyn Tabernacle and Charles Stanley’s First Baptist Atlanta. On the heels of his critically-acclaimed debut solo release, Welcome Home, he was awarded Singing News Magazine’s New Soloist of the Year in 2014. He has helped write two nationally charted #1 songs and in 2010, “If You Knew Him” (written with Rodney Griffin) was nominated for Southern Gospel Song of the Year at the GMA Dove Awards and won the Singing News Fan Award for Song of the Year. He was also nominated for Singing News Magazine’s Male Vocalist of the Year, Lead Singer of the Year and Songwriter of the Year for three consecutive years. Welcome Home featured two Top 5 singles (“Never No Never” and “Beauty of the Blood”), as well as two Top 10 singles (“Big Enough” and “Welcome Home”). Joseph currently resides just outside Nashville, TN with his wife, Lindsay. 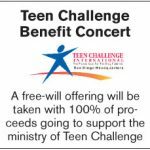 This concert is a benefit to support the great work of Teen Challenge San Diego. 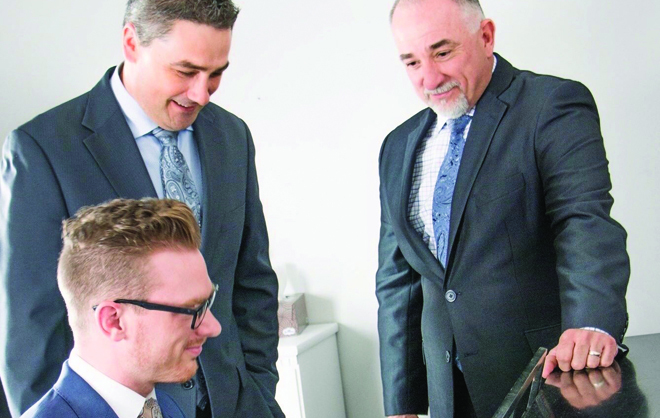 Since the mid ’70s, San Diego Teen Challenge has brought hope and healing to tens of thousands of men and women trapped in drug and alcohol abuse and many more concerned family members and loved ones. Theirs is a missional movement that unashamedly follows Christ, embraces servant leadership, and shares transforming grace. Come and enjoy a free concert and be prepared to give generously to support the work of Teen Challenge in our community. Sunday, Feb. 17, 2019, 4:00 p.m.